The domain lnstagram.eu was challenged via the UDRP process at the WIPO. The Complainant is Instagram, LLC of Menlo Park, California, and there is no doubt that INSTAGRAM is by now a famous trademark. 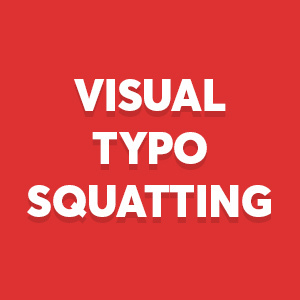 This type of visual typo-squatting often assists phishing and malware activities. “In fact, the two characters differ only in the initial letter: while the literal domain name begins with the letter “l” (as a capital letter “L”), an “I” is entered as the lowercase letter. Appellant is Instagram, LLC of Menlo Park, California, United States of America (“United States”), represented by Hogan Lovells, France. The complainant is Jan Wegener, from Haltern am See, Germany. The registry of the disputed domain name is the European Registry for Internet Domains (“EURid” or the “Register”). The disputed domain name <lnstagram.eu> is registered with Strato AG. The complaint was submitted to the WIPO Arbitration and Mediation Center (the “Center”) on 3 July 2017. On July 3, 2017, the Center sent a request for confirmation of the registration data regarding the disputed domain name by e-mail to the register. On 4 July 2017, the Registry sent its reply by e-mail to the Center, where it disclosed the identity of the owner of the disputed domain name and the contact data used by the complainant (which was not known to the complainant) Contact details. On 5 July 2017, the Center sent a notification by e-mail to the complainant, providing the information disclosed by the Registry concerning the domain name owner and his contact details, and asking him to submit a revised complaint. On the same day, the appellant filed a reworked complaint. The Center found that the complaint, together with the revised complaint, complied with the formal requirements of the rules for alternative dispute settlement in .eu domain name disputes (the “ADR Rules”) and the Supplementary Rules of the World Intellectual Property Organization for .eu domain name disputes ( the “Supplementary Rules”). In accordance with ADR rules, Article B (2), the complaint was formally communicated to the complainant by the Center and the proceedings were initiated on 6 July 2017. In accordance with ADR rules, Article B (3), the deadline for the complaint ended on 18 August 2017. The respondent did not submit a complaint but transmitted informal communications on 6 and 8 July 2017 and 21 August 2017. On August 23, 2017, the center appointed Peter Burgstaller as a one-man arbitration commission. The Arbitration Commission notes that it has been duly appointed. The Arbitration Commission has issued a Declaration of Assent and Declaration of Independence as required by the Center for compliance with ADR Rules, Article B (5). The complainant operates a worldwide leading network application in the field of sharing photos and videos under the INSTAGRAM brand. The network application was introduced in 2010 and is known worldwide under this name. The complainant is the owner of numerous brands worldwide, which include the name INSTAGRAM and which also protect this name (especially trademark). The INSTAGRAM trademark has also been registered by the complainant as a domain name under many different top-level domains. The complainant did not grant the complainant any rights to the trade mark INSTAGRAM. According to the submitted registration data of the register, the disputed domain name was registered on March 2, The domain name results in an inactive site. The complainant is the world’s leading social network application in the area of ​​sharing photos and videos. The complainant was introduced on 6 October 2010; since then, he has developed considerable goodwill and has become known worldwide, with currently more than 700 million monthly active users and 400 million daily active users, as well as more than 250 million photos and videos shared per day. The complainant’s web site is listed as one of the 18 most visited websites in the world. The complainant is consistently ranked among the top apps for mobile devices and has received numerous awards including “App of the Year” in 2011 from Apple, Inc. Currently, the app’s app is on iTunes’ top 10 free apps and is available in over 25 languages, including the German language. The complainant is the holder of numerous domain names consisting of or including the INSTAGRAM trademark and has made substantial investments to develop a strong online presence; the complainant’s official Facebook page also has over 42.5 million Facebook likes and almost 40 million followers on Twitter. The INSTAGRAM brand is a world-famous brand, which ultimately also led to the emergence of numerous “cybersquatting cases” in order to exploit the reputation and reputation of the complainant’s brand. The INSTAGRAM brand is a highly distinctive term that is exclusively associated with the complainant. The complainant has numerous trademarks in many jurisdictions of the world, including the European Union (EU) and the United States, which include INSTAGRAM and which are linked to the complainant’s social network for sharing photos. The disputable domain name <lnstagram.eu> reflects the complainant’s trademark in an ident, but in any case, confusingly similar manner: the top-level domain has to be disregarded in the identity / similarity test. The only difference between the disputed domain name and the INSTAGRAM mark of the complainant is therefore solely the fact that the letter “i” in the complainant’s trade mark INSTAGRAM is consciously delineated by the small spelling of the letter “L” which is “I” – has been replaced so as to give the impression that it is a large “i”; thus deliberately creating and causing confusion between Internet users. The Respondent has no rights or legitimate interests in the disputed domain name; he is neither authorized to license the complainant nor to use the trademark INSTAGRAM in any other way, either as a domain name or otherwise. The respondent has also registered the disputed domain name both in bad faith and used this in bad faith. At the time of registration of the disputed domain name on 22 November 2016, the appellant’s trademark was known all over the world – at that time, the complainant already had more than 600 million users of his service. In addition, the specific domains registered by the complainant (instead of “i”, “l”) represent a strong indication of bad faith. The Respondent also uses the disputed domain in bad faith: it leaves Internet users, by using the applicant’s flagship brand name, along with his known Kameralogos, as well as the same “look and feel” of his website, as the official website of the complainant, on that of the complainant. The respondent uses the domain name deliberately in order to deliberately create confusion among Internet users who are looking for the complainant, to the fraudulent phishing web page of the complainant, enter their details there and then be forwarded to the correct web page of the complainant also works unnoticed. A further indication of the creditor’s bad faith lies in the fact that the respondent registered the disputed domain name by using a private protection service in order to hide his identity. There is no reason why the respondent should protect his or her identity in the sense of a confidentiality protection. In concrete terms, therefore, the respondent complies cumulatively with the facts set out in Article B (11) (d) (1) (i) – (iii) of the ADR Rules. The respondent has not submitted a complaint. However, in informal communications with the Center on 6 and 8 July 2017 and 21 August 2017, respectively, the respondent has pronounced a transfer / revocation of the disputed domain name and does not object to the complainant’s allegations. – has registered or used this in malicious intent. Therefore, the conditions do not have to be cumulative, but a successful complaint is already present if the condition laid down in Article B (11) (d) (1) (i) of the ADR rules either together with the requirement of (ii) or the requirement of (iii) leg cit . Under Article B (10) of the ADR Rules, the Arbitration Commission may assess the default of the filing of the complaint as an acknowledgment of the complainant’s claims in his complaint. The Arbitration Commission first follows the continuing practice of ADR and Uniform Domain Name Dispute Resolution (UDRP) commissions, according to which the top-level domain generally has to be disregarded during the identity / similarity check. Therefore, the contested second-level domain <lnstagram> is to be compared with the INSTAGRAM registered trademarks. In fact, the two characters differ only in the initial letter: while the literal domain name begins with the letter “l” (as a capital letter “L”), an “I” is entered as the lowercase letter. This deviation of the disputed domain name from the appellant ‘s trade marks is not only extremely small and doubtlessly confusing, eight of nine letters are identifiable, but also misleading in the concrete form because the lowercase letter of’ L ‘is actually the uppercase letter of “i” is identical to the human eye (“l” = “I”). The condition laid down in Article B (11) (d) (1) (i) of the ADR rules is therefore fulfilled. After the Center has communicated this communication to the complainant, the complainant has insisted on the adoption of a decision in view of the serious circumstances of the case. There is no reason for the Arbitral Commission to comply with the complainant’s allegations, particularly with regard to Article B (10) of the ADR Rules. The Arbitral Commission therefore considers that the complainant is not entitled to any rights or legitimate interests in the contested domain (Article B (11) (1) (d) (ii) of the ADR Rules). (21) (1) of Regulation (EC) No 874/2004 or Article B (11) (d) (1) of the Treaty, which provides that the disputed domain name is also registered or used in bad faith, (i) – (iii) ADR rules either require no rights or legitimate interests on their part or bad faith on the other. In any case, the Arbitral Commission would point out that the respondent’s action – in particular the nature of the registration and the specific use of the domain name by the complainant as described in section 5A – is in breach of the terms of the ADR rules. For the above reasons, the Arbitration Commission shall, in accordance with Article B (11) of the ADR Rules, order that the domain name <lnstagram.eu> be revoked.